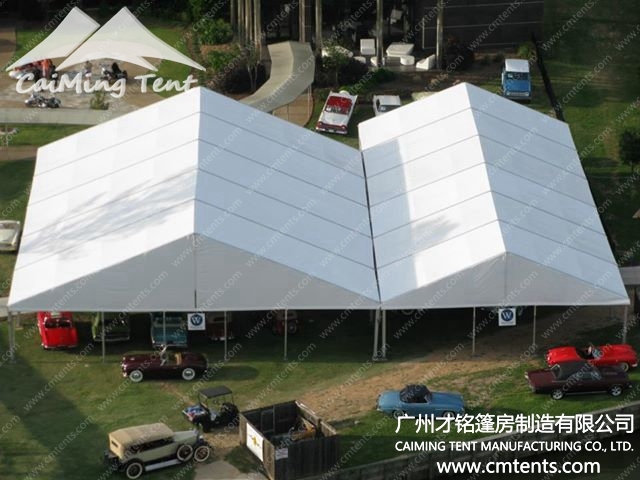 Are you searching for a new and eye-catching venue for you car show events? 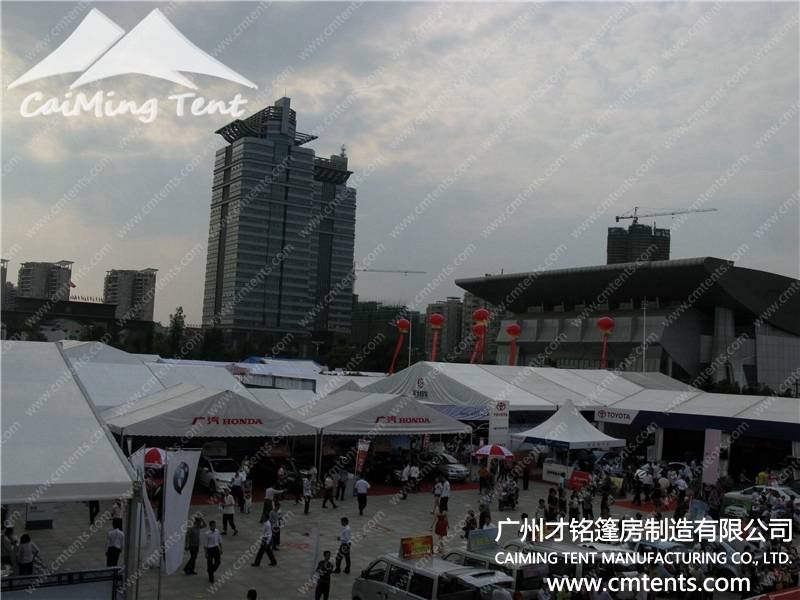 Then tented car show event is a perfect choice for you and you come to the right place. 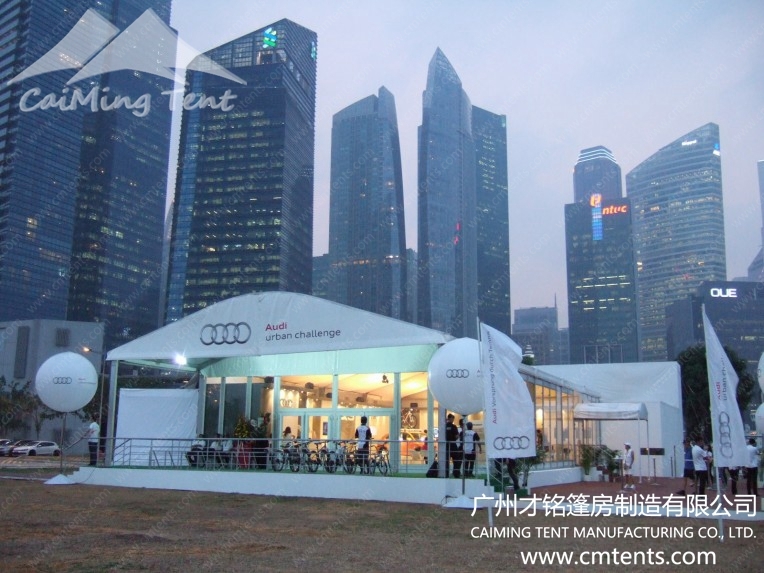 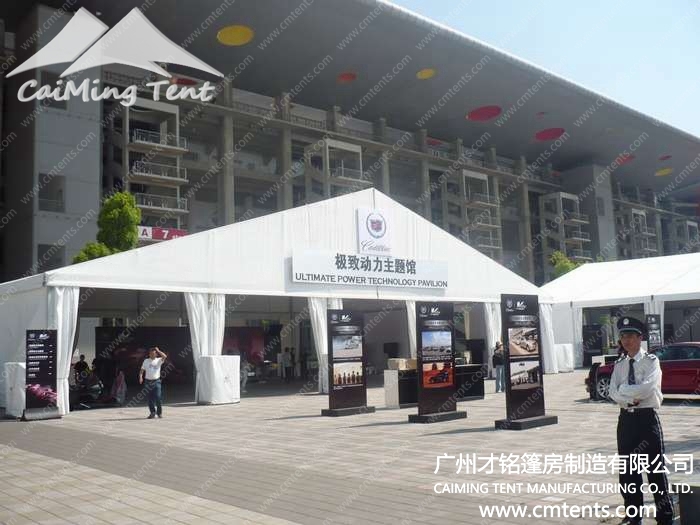 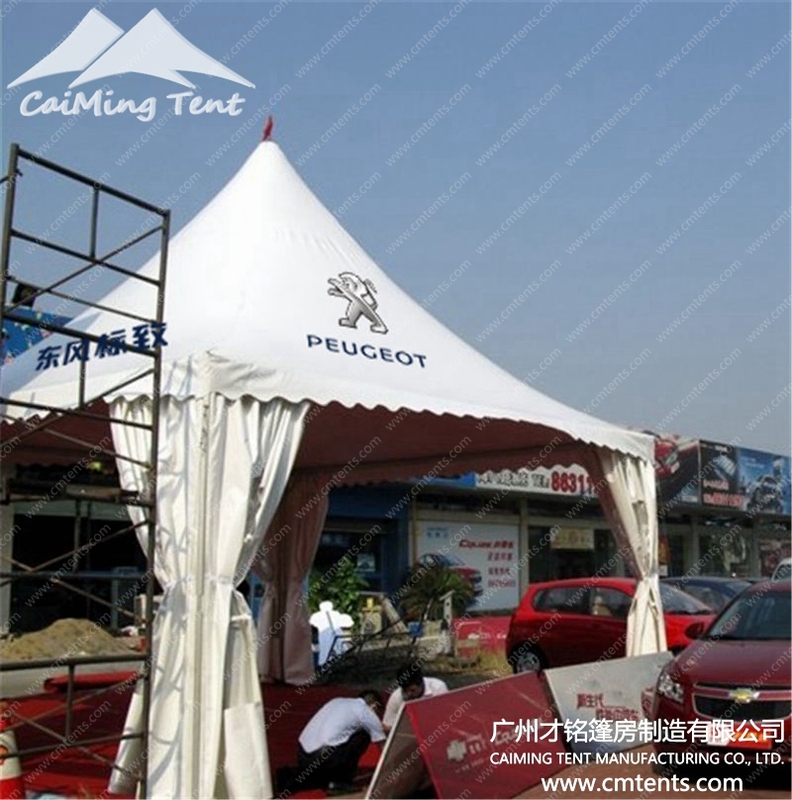 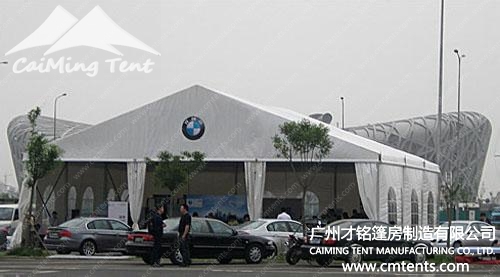 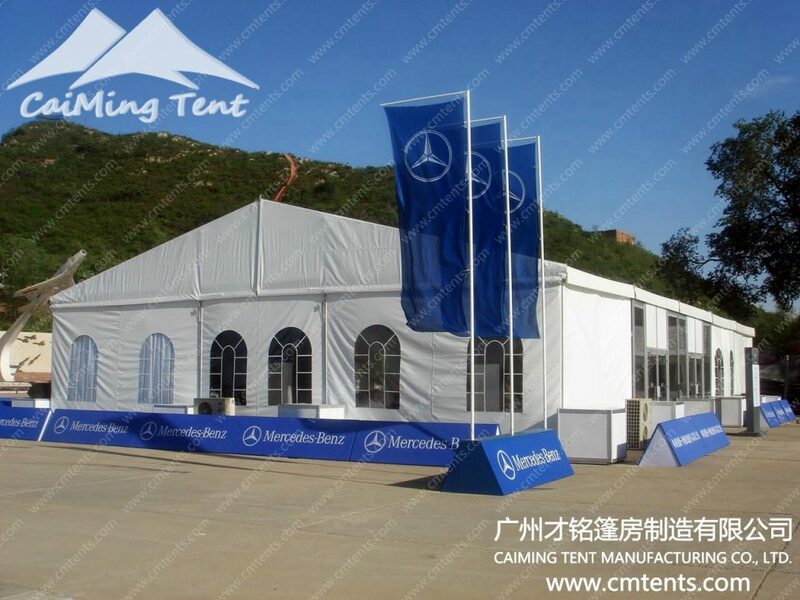 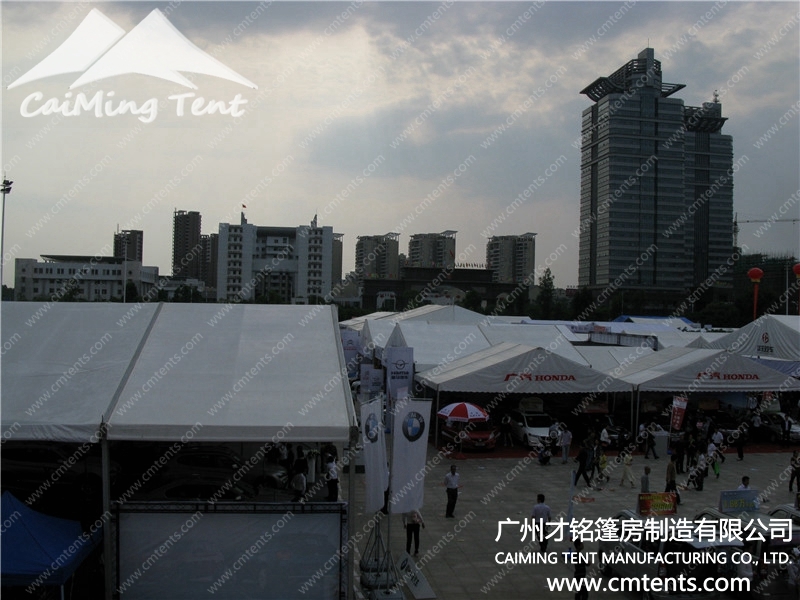 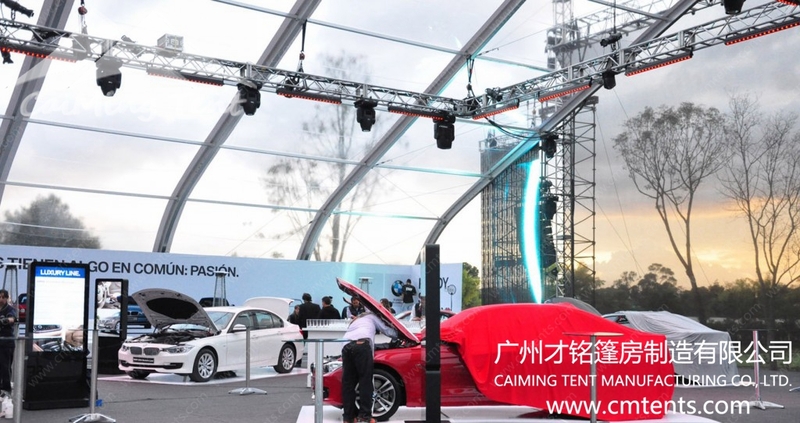 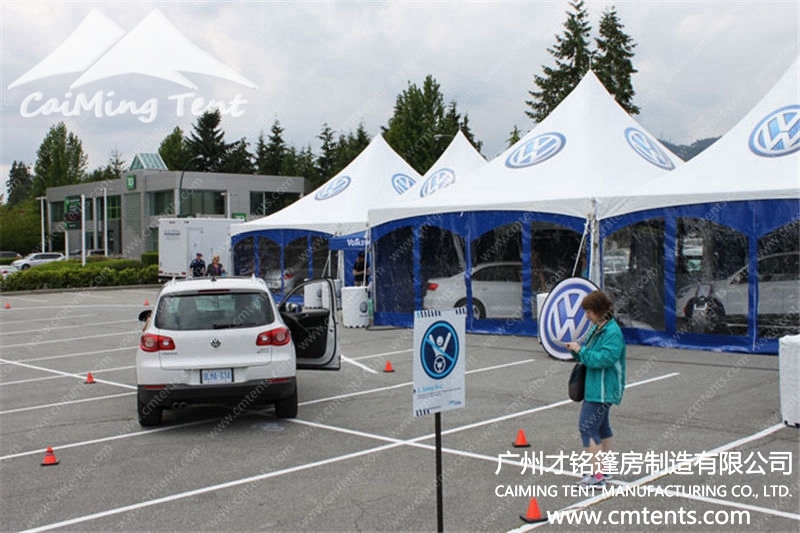 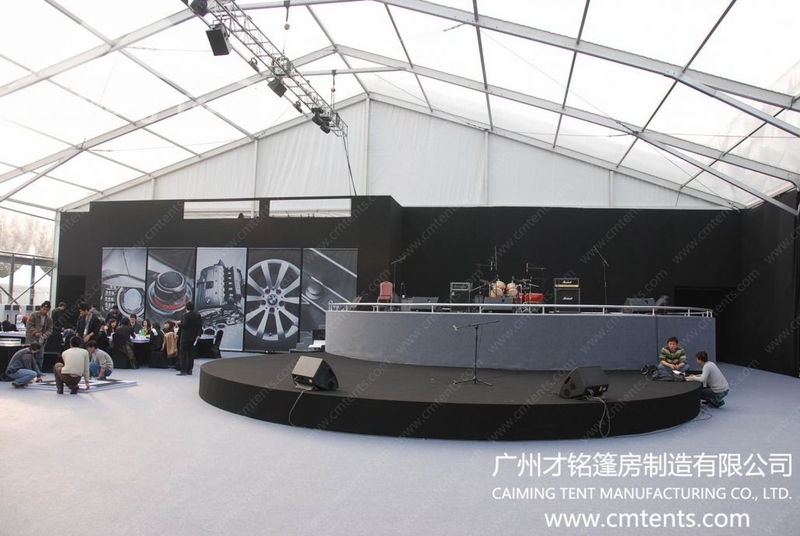 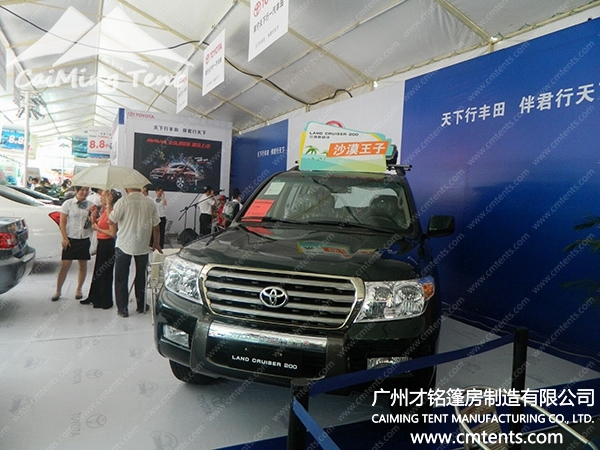 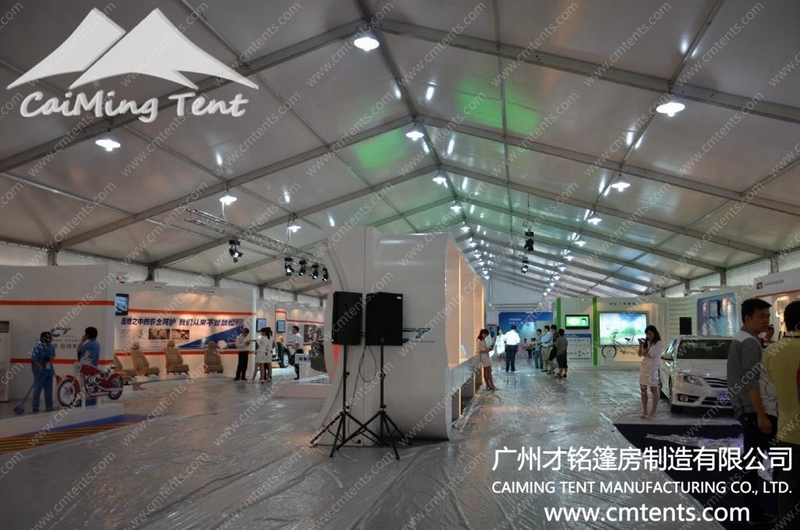 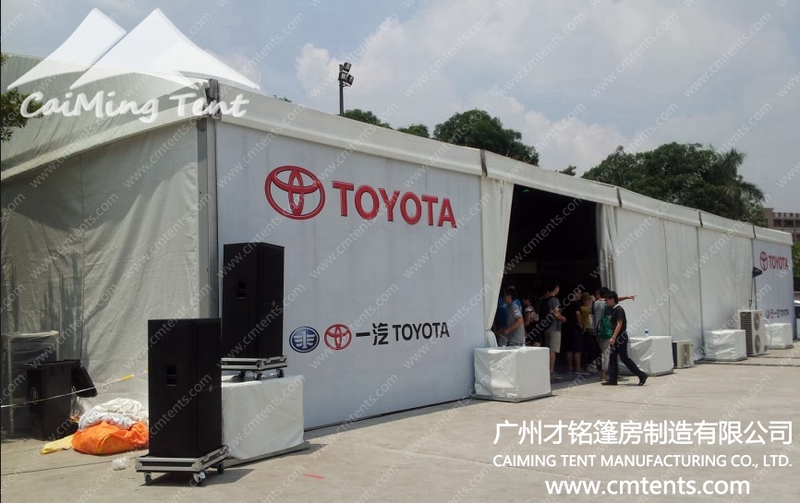 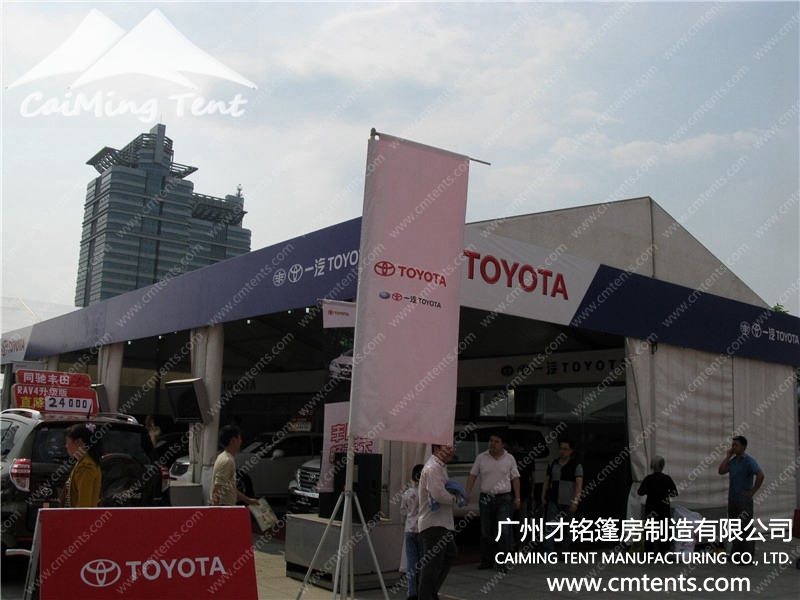 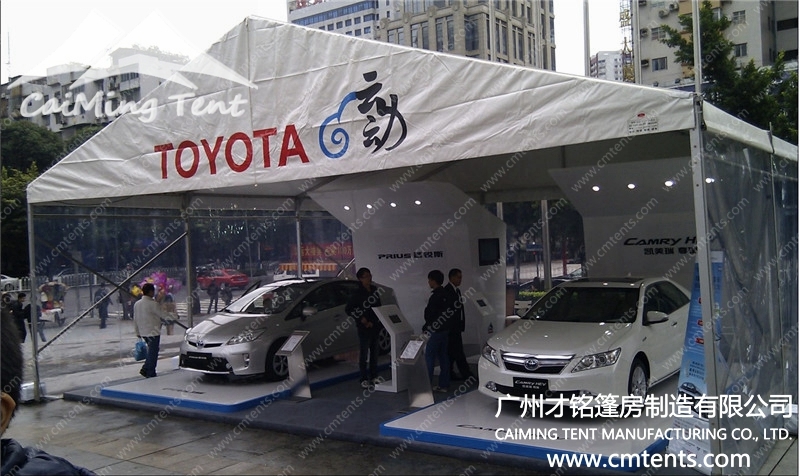 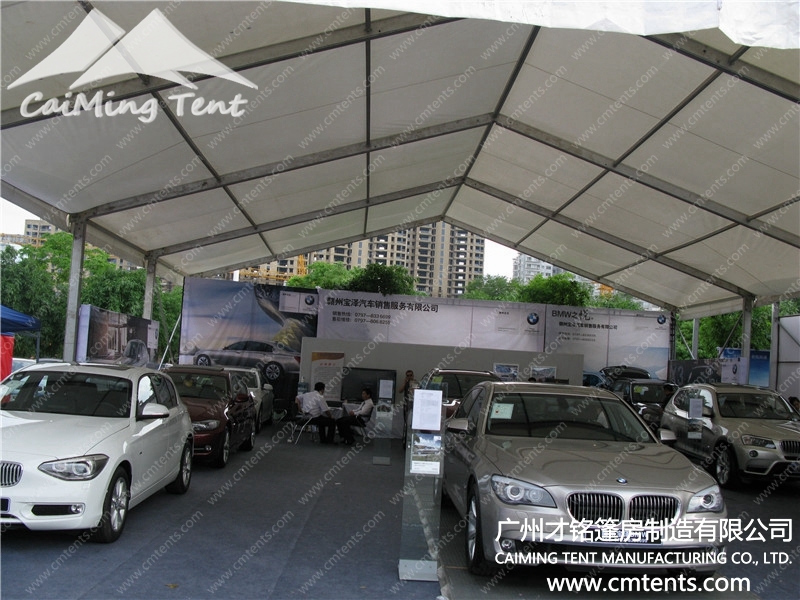 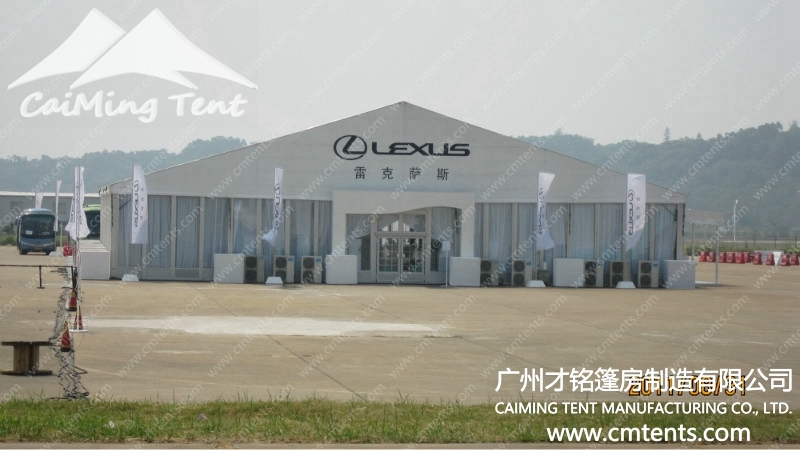 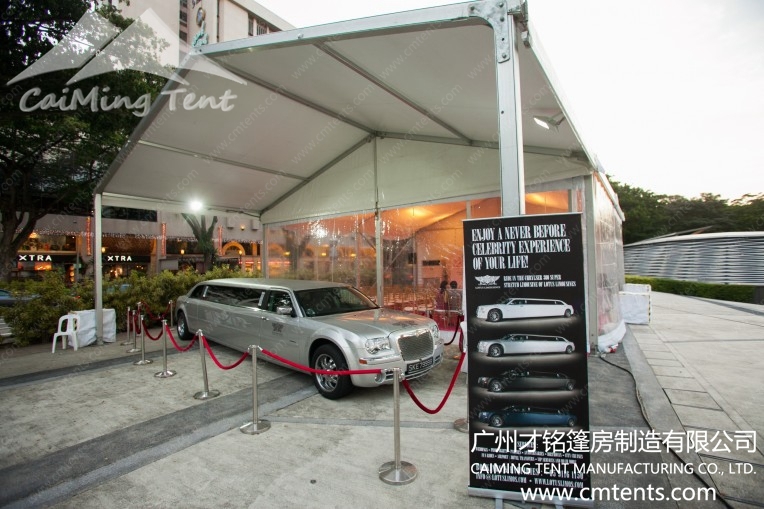 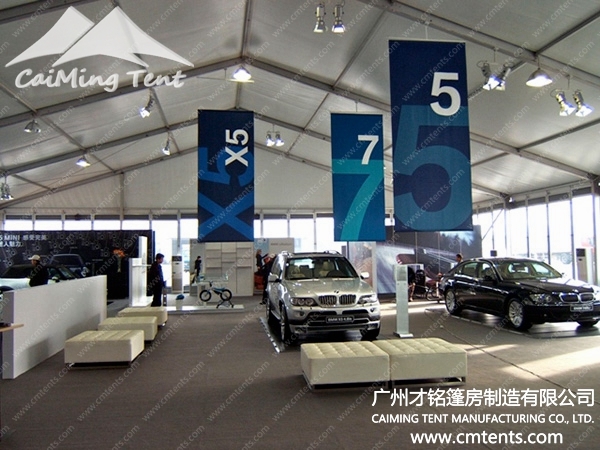 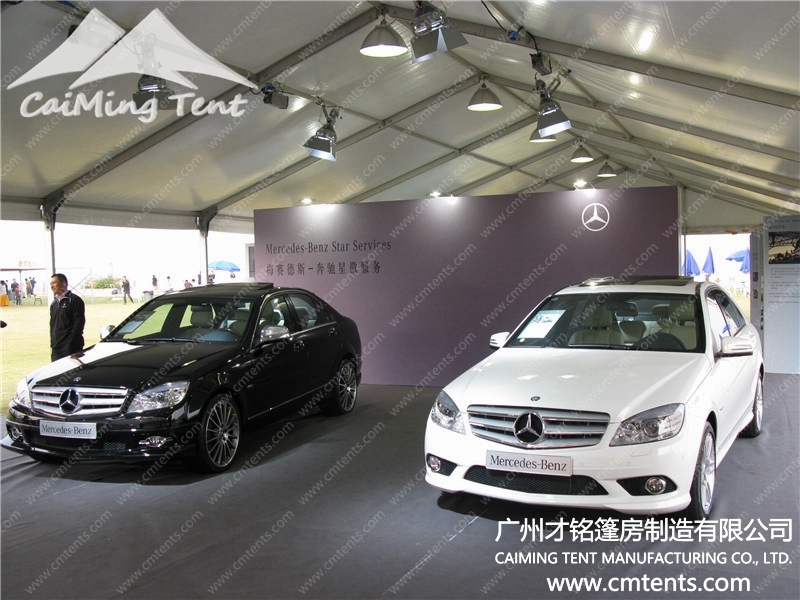 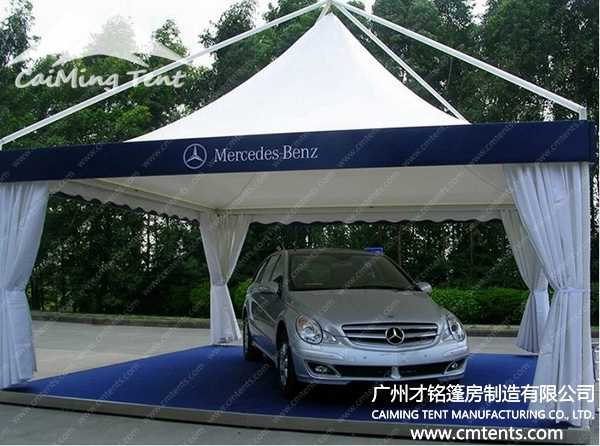 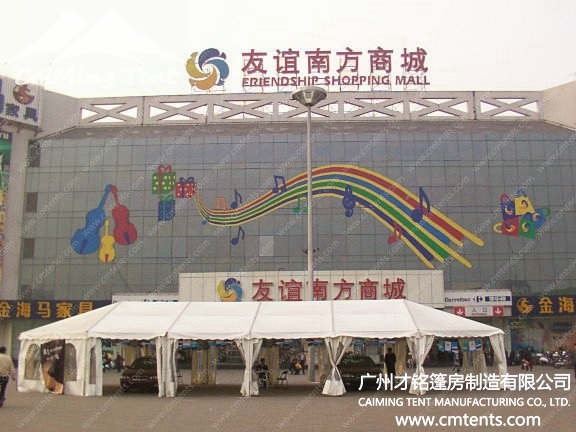 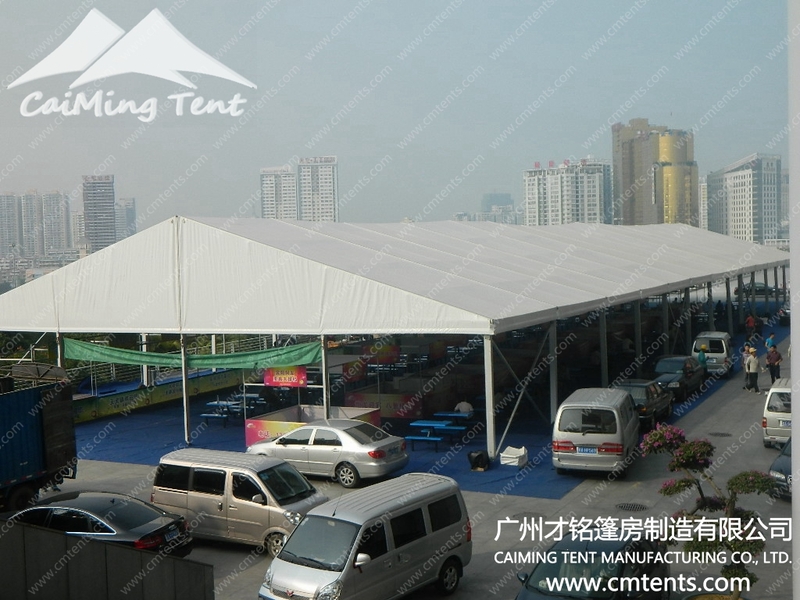 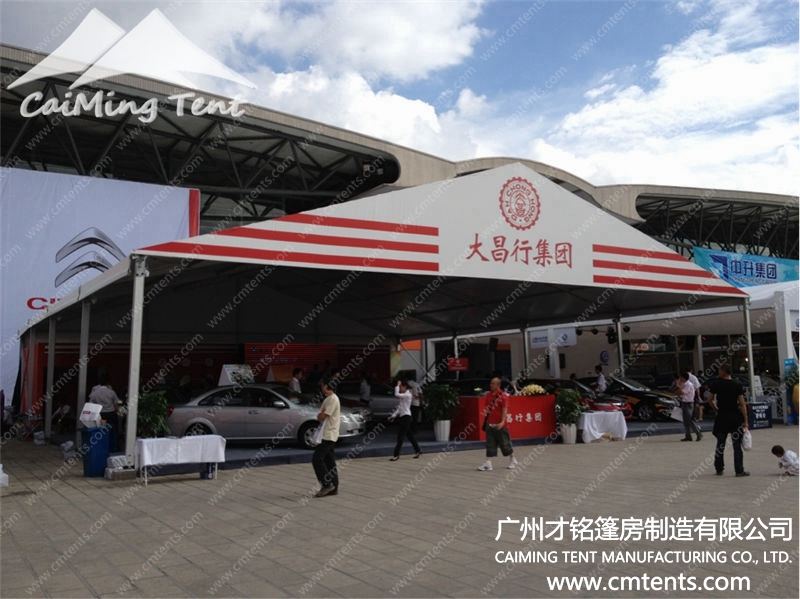 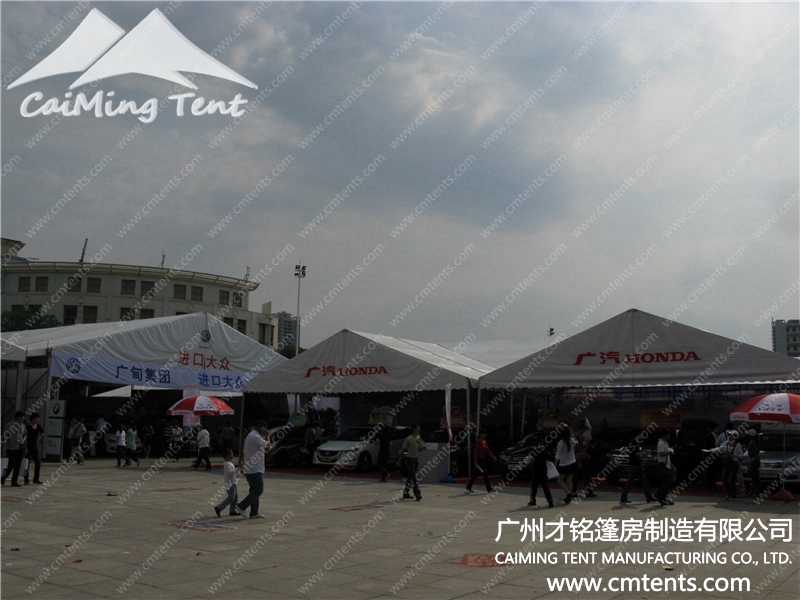 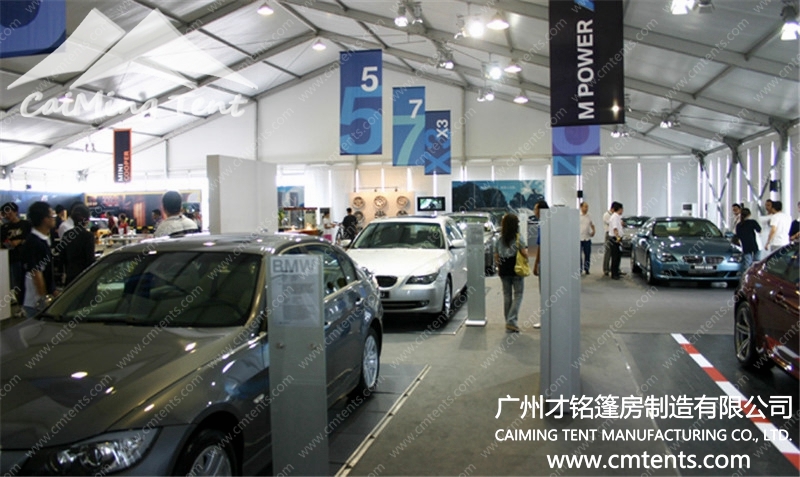 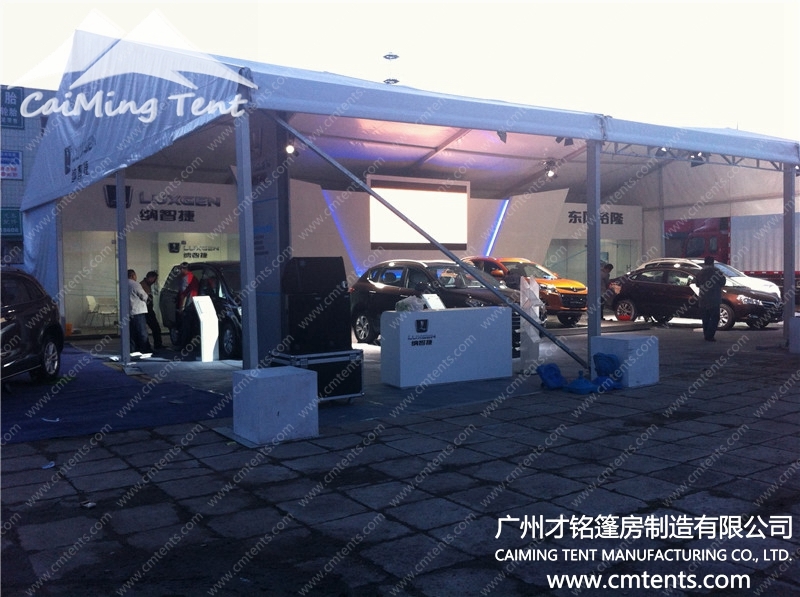 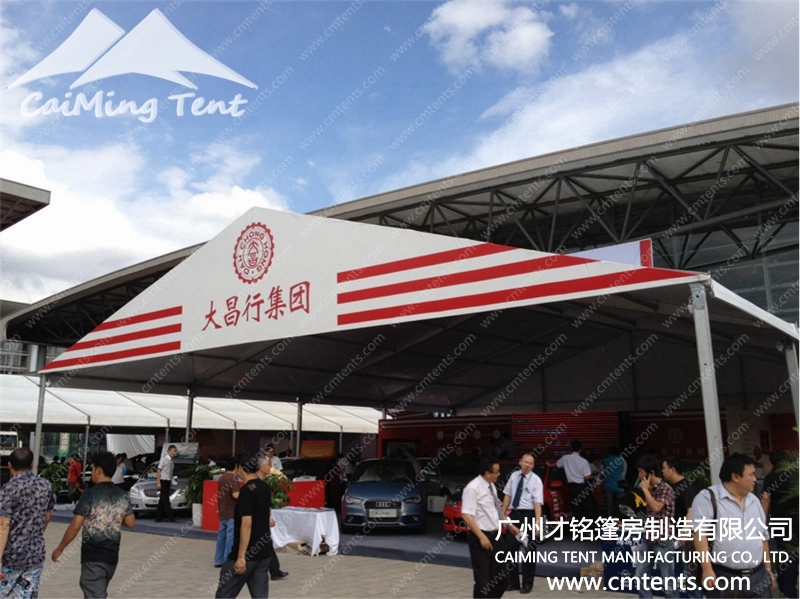 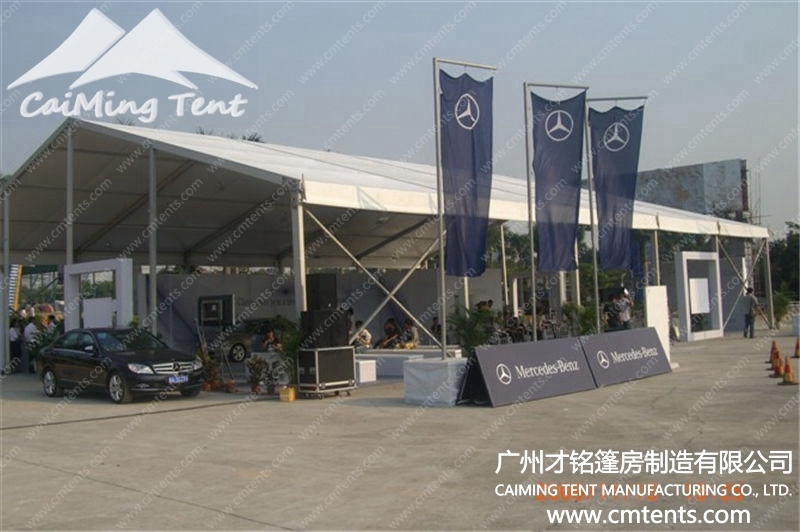 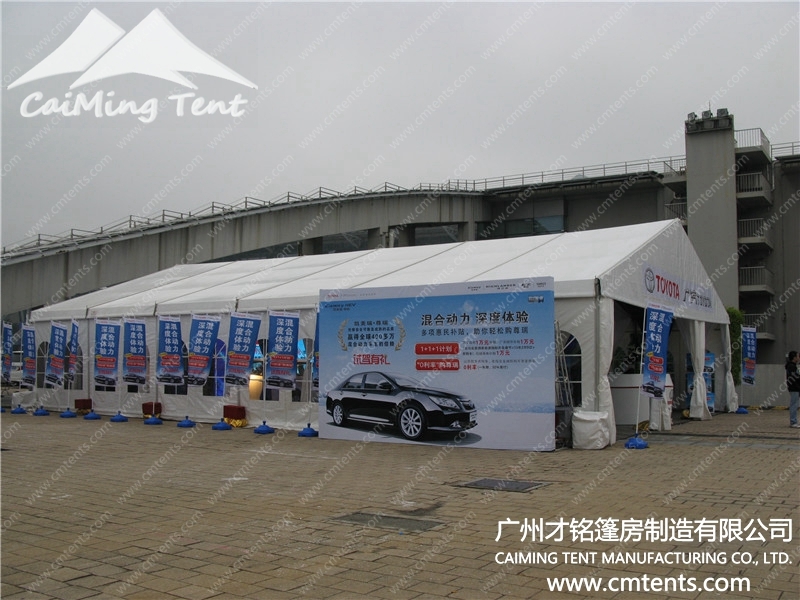 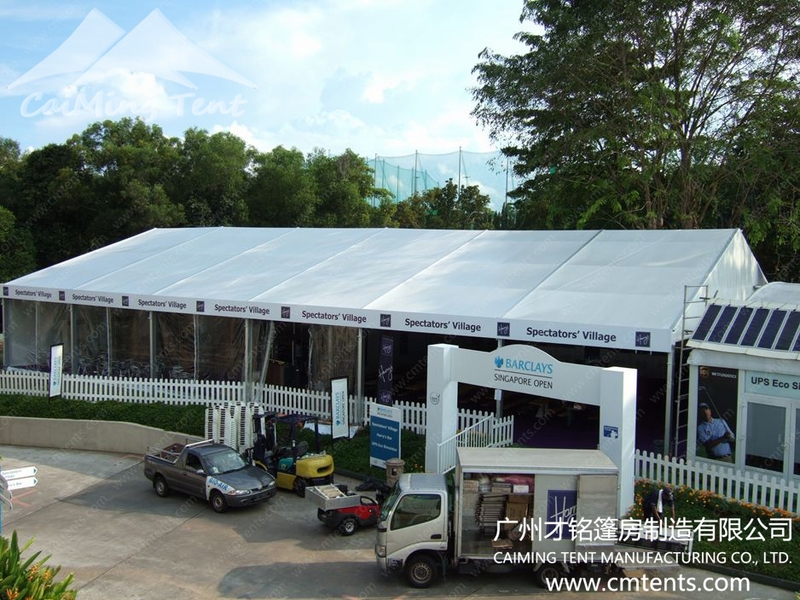 CaiMing car show tents and marquees with immediate, flexible, cost-efficient design can make your car show events big success and unforgettable. 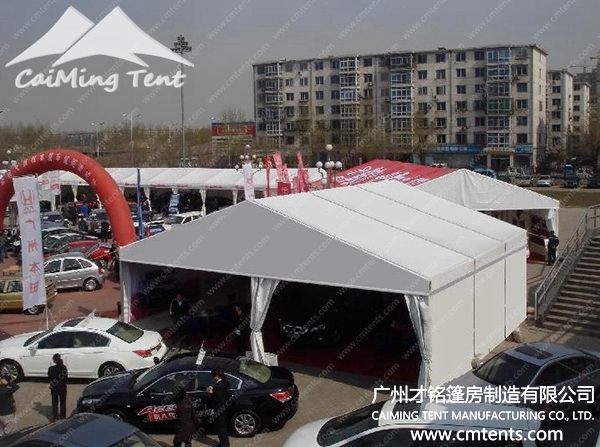 Polygon tents, curved tents or dome tents make your car show events more highlighting and fantastic, compared to A frame tents and marquees, but A frame tents are lower. 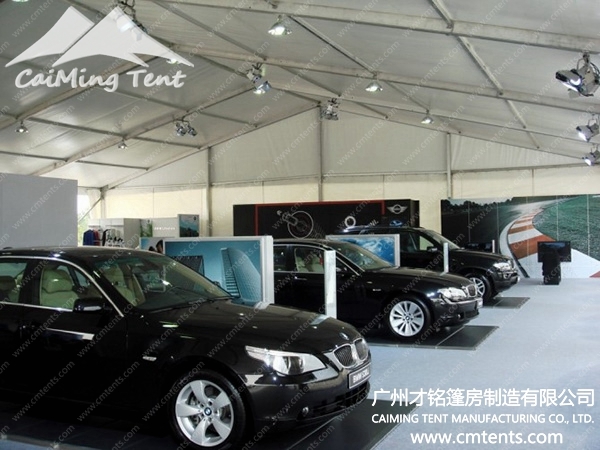 Another way to make your car show events outstanding and high grade is that using double deck tents and marquees, or using A frame tents/polygon tents/ curved tents/dome tents with glass or ABS walls, which makes your car show event venues like a upscale house, not only a tent. 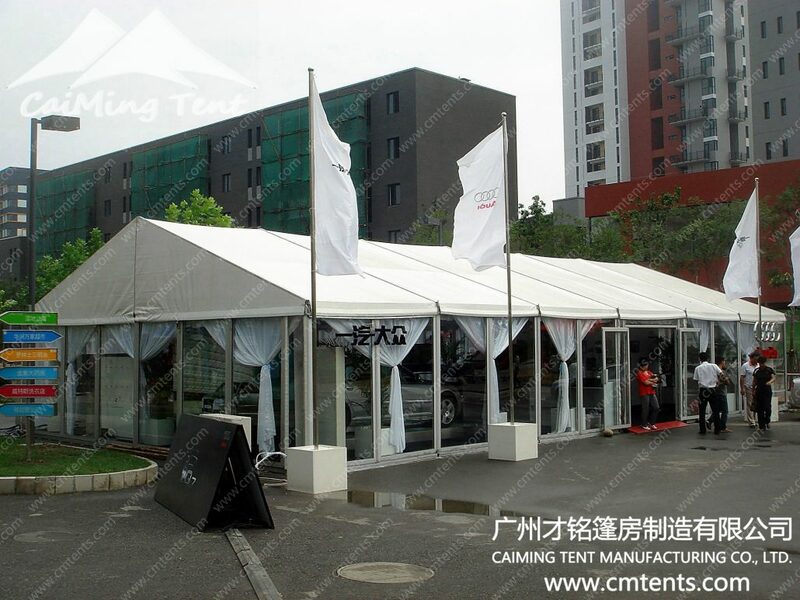 Tent wedding is becoming more and more popular, more and more fashion in the future. 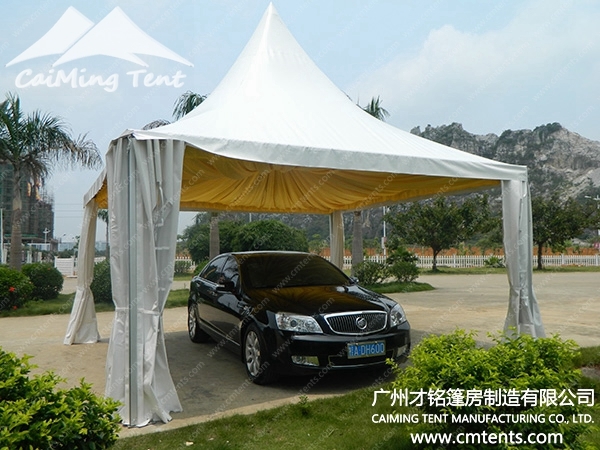 wedding is becoming more and more popular, more and more fashion. 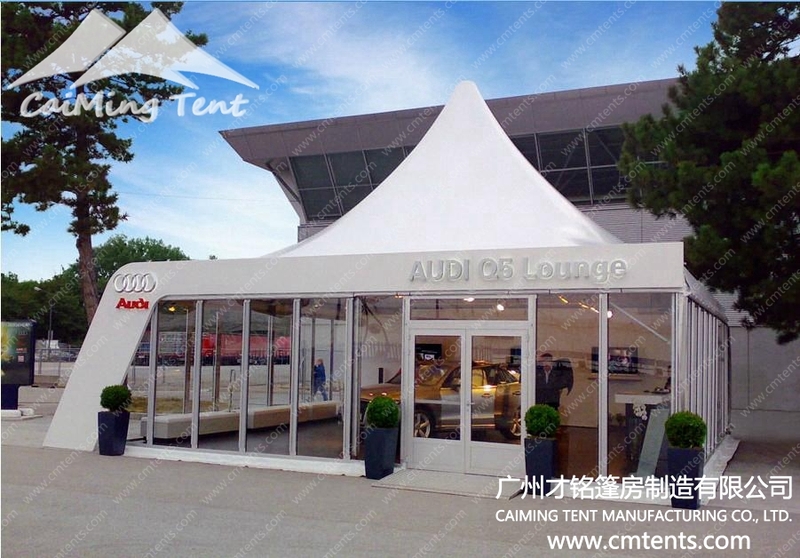 Hard pressed extruded aluminum alloy, anodized surface handling, silver color, sturdy and never rust; over 15~20years life span. 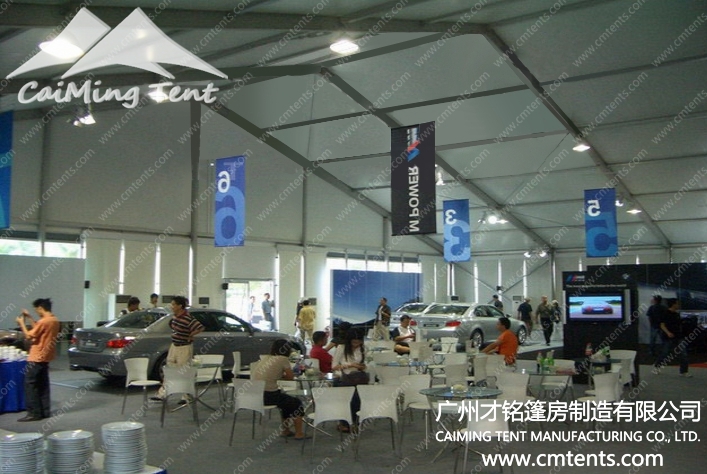 Our aluminum alloy code 6061/T6,hardness achieved 15HW.The wind load capability is based on the aluminum hardness. 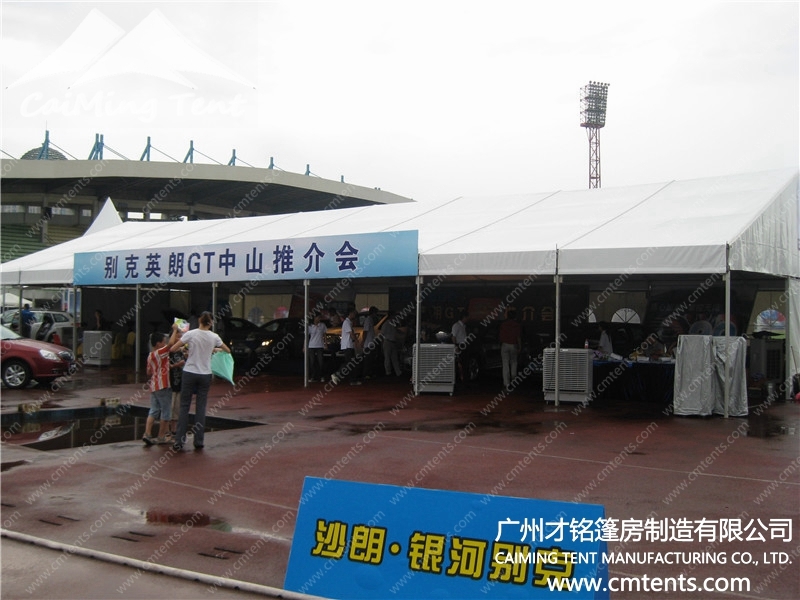 Steel components:Hot-dip galvanized steel, thickness is over 60um.